So, he decided to sell his business, go back to school and earn a formal degree. At the time, engineering seemed like the right fit. He started taking a variety of courses at Arizona State University and tried out a few to see how he and school would "get along." Little did he know an introductory course on cellular biology was about to change his life. 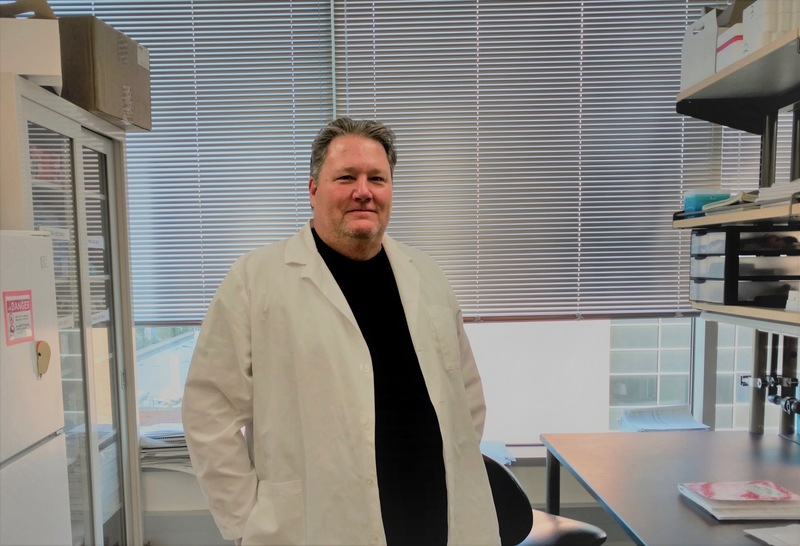 Bjorklund’s fascination with the machinery inside each cell, as well as with cellular systems, pushed him down a path to study developmental neuroscience for his dissertation and earn his PhD in molecular and cellular biology from the School of Life Sciences. “In my previous life, I owned Az-Tech Manufacturing Inc. We specialized in research and development and product manufacturing for the aerospace industry. We manufactured components for satellites, the space shuttles and the International Space Station for Honeywell SSO; turbine engine parts and assemblies for Allied Signal Aerospace, General Electric, and British Aerospace; rocket engine valves and bodies for TRW Aerospace; and a lot of other cool stuff for other customers,” said Bjorklund. “But school kind of changed those plans. So, for better or worse, here I am at ASU in a field that is just a little different than what I have previously done. I believe most people thought I was crazy or stupid to give up a lucrative career for a path that was totally foreign. But the further things went in my academic career, the more my family and friends got on board with it. Now that I have actually finished, there has been a collective sigh of relief from my family, especially my wife and kids,” he said. Answer: I didn’t plan on studying anything in the field of biology when I first went to college. I had just sold my business and was wondering what I would do with all my new free time. I had always wanted to go to school and this seemed like the perfect time to do that. I am a “nontraditional” student. That is, I would be entering college later in life than a traditional student would. My plan was to pursue a formal degree in mechanical engineering since I had spent most of my life in precision machining and manufacturing. So, to begin, I thought I would take a few “test” classes to see how school and I would get along together. One of those classes was an intro cellular biology course and that changed my educational focus. A: The ability to ignore the noise and stay on my path. Since becoming serious about an education, I have run across almost every reason imaginable to just give up. However, learning to deal with myself rather than the noise surrounding me, I have accomplished, so far, what I have set out to do. I very rarely quote someone, but (Winston) Churchill said, “You will never reach your destination if you stop and throw stones at every dog that barks.” I still stop and throw stones occasionally — old habits die hard — but not nearly as many as I used to. A: I grew up in Florence, a small town in Arizona, during the ASU Frank Kush years. I remember growing up with a LOT of talk about ASU, Frank Kush, ASU football, ASU football with Frank Kush and so on. Maybe that’s one of those things you need to experience, but it sure made ASU stand out as the place to be. Plus, I now live a few miles from here. A: To me, it isn’t about just one professor teaching the “most” important lesson, but rather a succession of professors that I have learned from over the years. Every professor seemed to offer a little extra something I could learn other than just the material of the course. Like learning to do what you love from the professor that teaches with an unbelievable enthusiasm for the subject. Or learning to be knowledgeable in your chosen subject from the professor that could double as a walking encyclopedia. Or learning to care for your students like the professor that can’t stand to see one of their students fall behind. Or learning that everything isn’t as it seems from the professor that blows your mind with an alternative take on a subject. There are a lot of different professors that have been involved in my education and what I have learned from each, good or bad, adds up to all the most important things. A: Seek out something unfamiliar to you. Try a different subject that is outside your current interests. Make a new friend that is outside your current circle. Go on an adventure, near or far, short or long, it doesn’t matter. Overall, just keep an open mind and experience all you can while you can. A: The Design and Arts Library at the College of Design North was my favorite place to relax and study. Very nice and quiet library — I hope I didn’t just ruin it. As an added bonus, there is an outdoor patio on the second floor of the building that is nice to hang out in also. A: Rest. Then back to work doing a postdoc stint here at ASU. After that, I’ve been saying for most of life that I don’t know what I want to be when I grow up and that is still true today. There are so many different areas and opportunities that interest me, it is hard to settle down and chose a definite path. That might be a bit obvious since I have gone from manufacturing parts for the International Space Station, satellites, turbine and rocket engines to studying and analyzing neurodevelopmental disorders in mammalian systems. So, I guess we’ll just have to wait and see what opportunities or interests present themselves in the future. If someone gave you $40 million to solve one problem on our planet, what would you tackle? A: I don’t think $40 million dollars would go very far to tackle any one single problem facing the world. I think I would just have to blow it all on beer and late nights out. Seriously, though, I think that some of the most pressing issues we face are environmental. Climate change, drought, pollution, and the loss of habitat and biodiversity are just a few of the most immediate challenges that face us. These points of concern are up to every one of us, individually and together, to tackle. Towards that, I would think the most bang for the buck that $40 million would bring is education. We all need to know the consequences of our immediate actions and inactions and just where that is currently leading us. Before we can fix our world’s problems, if it is even possible, we need to fix ourselves. A: That I lasted. At times it seemed like a battle of wills, me against everything else. Kind of dramatic, maybe, but sometimes it felt that way. In the end, however, I was able to jump all the hurdles, circumnavigate the obstacles and dodge the rest to come out the other side ready to keep on going. 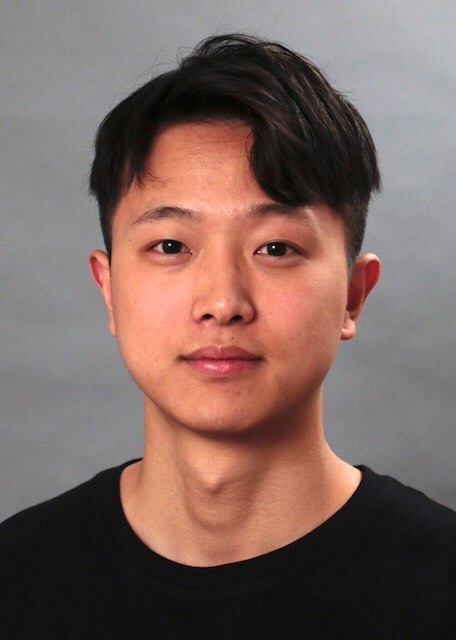 Zhang has thrived at ASU, and will be graduating with his bachelor’s degree in mathematics with a concentration in statistics as the Dean’s Medalist from the School of Mathematical and Statistical Sciences. Last spring, professor Rosie Renaut taught Zhang in her MAT 425 numerical analysis course. After, Zhang approached her about the possibility of doing a research project. She had been investigating properties of a relatively new numerical linear algebra approach called Randomized Singular Value Decomposition. Although the material was definitely graduate level, Renaut felt by focusing on certain aspects of the problem they could design a suitable project for a talented undergraduate like Zhang. Although graduating this semester, Zhang has already asked if he can continue to work on the project. Renaut is enthusiastic to continue the collaboration, which will hopefully lead to a short report that can be published. Zhang was thrilled to discover he had been chosen as the Dean’s Medalist. “It is proof to my efforts and hard work during the last three years. I feel so honored to receive this award, have my name on the list with those past winners. It gives me the confidence to keep exploring the world of math,” he said. Zhang answered a few questions about his experience at ASU. Question: What was your “aha” moment, when you realized you wanted to major in math? Answer: I had work experience in a media and film-related company in China before I came here. My first "aha" moment was at that time when I got software using statistics to analyze the hot topics online and on different social media platforms. I was amazed by the power of science. It was embarrassing and hilarious that I thought statistics is the same as math. That was the reason why I chose my degree, mathematics with a concentration in statistics. My "aha" moment here (at ASU) would be the time when I took MAT300 and MAT371. I have to thank Dr. Matthias Kawski for leading me to the right path on math learning. That was the first time that I found math is not the way I understood, and also made sure I want to learn more. Q: What is something you learned while at ASU that surprised you or changed your perspective? A: I like some proverbs in the U.S.: "All work and no play make Jack a dull boy" and "Play hard, work harder." When I study, I learn to stay focused and be efficient. Besides studying, I like to devote time to those things that can make me fresh. Also, the camaraderie between classmates and affection between professors and students keeps pushing me forward. A: I am going to continue my learning in applied math. Hoping to get my PhD in the future. Q: Were there any faculty that had a strong influence in your mathematics journey at ASU? A: A lot of thanks to Dr. Rosemary Renaut and Dr. Matthias Kawski, they are like guides on my way of math learning. I feel so blessed to meet them in my life. Dr. Renaut is insightful and intelligent, by following her thinking, I learned a new way to think of a problem from different aspects. I took MAT 300 and MAT371 with Dr. Kawski. He is so thoughtful and sciential and always tries to show us the big picture of math learning. Q: What is the best piece of advice you would give to those still in college? A: My suggestion is to try to break through your limit. Better not to satisfy your current situation, keep testing yourself and you will find you can do more than what you think you can do. A: I would like to work on problems like the environmental problem. To be specific, like climate change and animal protection. The environmental problem is becoming more and more serious nowadays. To make our Earth healthy, we need to draw attention from the public and let them realize how serious the problem is. One of my favorite movies is "The Day After Tomorrow"; the protagonist is a meteorologist. He used a mathematical model to forecast the disaster and saved people in the hazard area. The movie has now become reality. I think it is meaningful to use what I learned to do something like this.